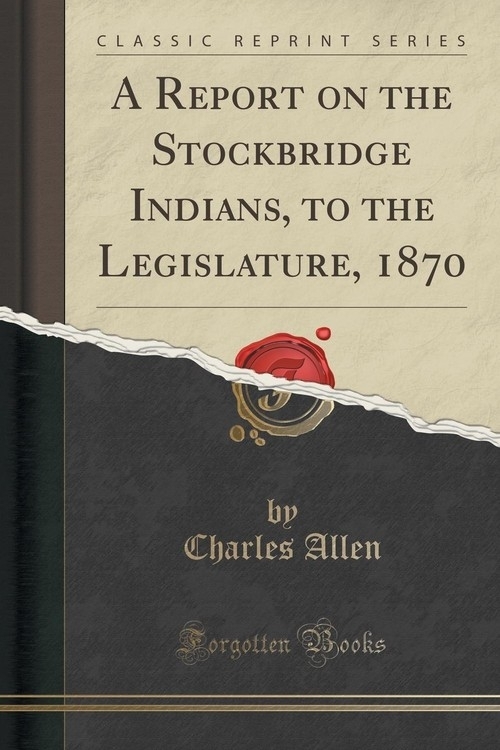 Sir: - The House of Representatives of last year "ordered that the message of His Excellency the Governor, with the memorial of Darius Charles and others of the Stockbridge tribe of Indians, be referred to the Attorney General, with the request of this House that he will examine the same, and report thereon to the next General Court." That message and memorial are contained in House Documents of 1869, No. 508; and the memorial sets forth at length certain statements as facts upon which these Indians now ask an allowance of money from the Commonwealth, which are in substance as follows: that the Stockbridge Indians formerly occupied and possessed the country watered by the Housatonic River and its tributaries; that they were a powerful tribe; that the white people came among them asking for rest and kindness, and received both; that by craft the whites deceived them, and promoted divisions and feuds among them; that nothing deserving the name of purchase of their lands was ever made; that deeds were given indifferently to the government or to individuals, for which little or no consideration was paid; that the country was never purchased or rightfully obtained from them, but that they were stripped of their birth-right by fraud, force, and other improper means.